Register Now To Participate In The Mount Isa Triathlon Festival! 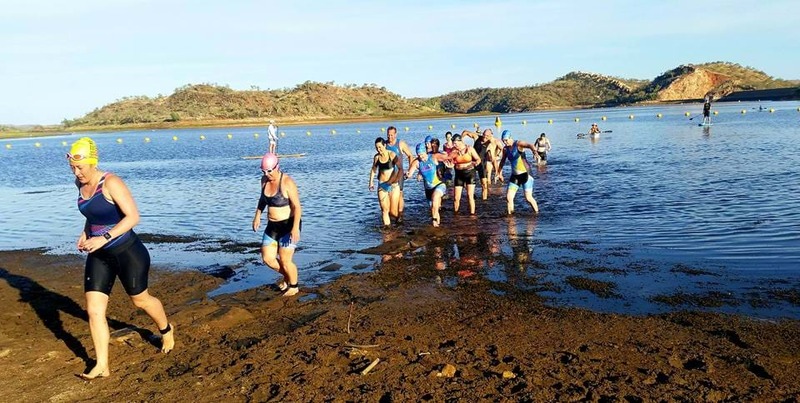 The Mount Isa Triathlon Festival, hosted by the Mount Isa Running and Triathlon Club, kicks off this weekend with over 150 athletes expected to converge on Lake Moondarra to participate. The festival runs over two days and includes the annual teams sprint distance Mount Isa City Council Corporate Triathlon on Saturday afternoon. The die-hard triathletes can back it up the following morning for race #1 of the Race to the Creek series, the Mount Isa Mines "Moondarra Dash"
While Mount Isa is expecting a week of max temps around 40-43 degrees, it is supposed to cool off before the triathlon - so don't let the weather deter you! There will be a barbecue and beer for athletes and supporters on the Saturday night, provided by local non-profit group Paws Hoofs and Claws, with music by The Shack. Kids don't miss out, either! There will be kids races on Saturday morning from Splashez Pool - registrations on the day. If you'd like to join in on the triathlon fun, make sure you register by this Wednesday February 14 so you don't miss out! Race Director Richard Norris said the festival has something for everyone.